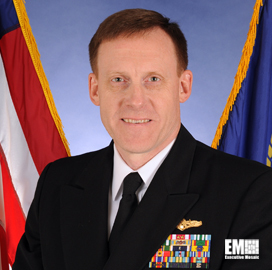 Adm. Michael Rogers, director of the National Security Agency, told an audience at Stanford University this week that information technology professionals can help protect the country if they work at the agency, USA Today reported Monday. Elizabeth Weise writes that the agency aims to keep pace with the developments in Silicon Valley, such as the sourcing and retention of IT talent. “We’re competing for much of the same workforce,” Rogers told his audience. He said that the private sector can offer higher salaries but NSA offers citizens the opportunity to help secure the U.S. from cyber threats and other attacks. Students, political scientists and technology and security workers attended the event. Stanford’s Hoover Institution and the Center for International Security and Cooperation were the event’s sponsors.